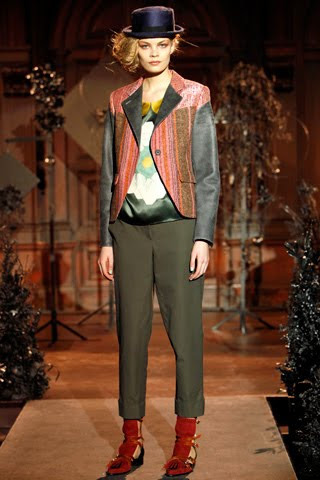 Shane Gabier and Chris Peters said that their collection was inspired by Elves, Fauns, and Fairies. You might remember this duo as the winners of CFDA's Fashion Fund. I love how everything is so mixed and matched but fit so perfectly together. This is a design team I'm excited to follow. You said it so right - mismatched but well put together! I love that red and black dress the most. Wow! I'm not familiar with that design team so thanks for introducing me. I'm so glad you stopped by my blog... I'm your newest follower! Oooh agree with you. Definitely very inspiring and a designer i, too would want to follow. Thanks for the introduction, I will be following them for more! Happy weekend to you! Eu super adoreii os looks.